The Federal Government has raised alarm over the unhealthy status of smuggled imported rice being dumped in the country calling on Nigerians not to consume them. 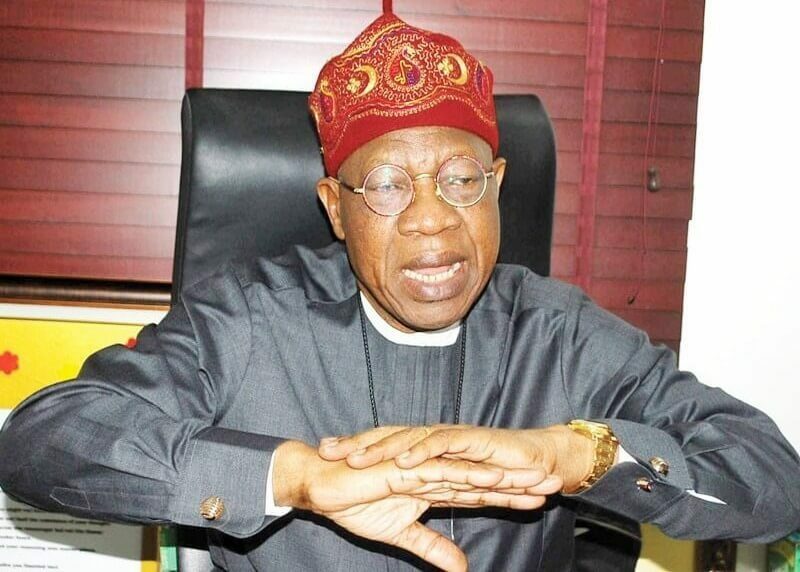 The Minister of Information and Culture, Alhaji Lai Mohammed, at a media briefing in Lagos said the government could not guarantee the healthy status of the rice having spent months on the high seas and warehouses. He appealed to Nigerians to complement the efforts of the government by consuming only locally-grown and processed rice which he said “is fresher, tastier and healthier’’. “We don’t know where or how imported rice is made or how old it is? It is reported that most of the rice dumped on us are old and probably rejected. “The citizens of those countries do not eat this rice. The citizens of Benin also do not eat it. But they send it to us. “Unhealthy foods are dangerous to health. So let’s eat what we can vouch for,’’ he said. The minister noted that rice smuggling was the biggest challenge facing rice production in Nigeria. Quoting the Rice Millers Importers and Distributors Association of Nigeria (RIMIDAN), he said that more than two million metric tonnes (MT) of parboiled rice were smuggled into Nigeria in 2017. Mohammed said that smuggled rice was primarily sourced from Thailand and India and came into Nigeria through the country’s borders with Benin, Niger and Cameroon. “In Benin Republic, the total demand for white rice (white rice is consumed in Benin, against parboiled rice in Nigeria) is 400,000 MT. “Yet the country, with a population of about 11 million imports between one million and 1.2m MT of rice annually. “Who are they importing for? Nigerians of course. In fact, as Nigeria’s rice import falls, Benin’s rice import increases. “Most of the parboiled rice imported by Benin eventually lands in Nigeria through smuggling,’’ he said. Explaining why price of local rice was higher, he said Cameroon and Benin Republics had lowered tariff payable on rice to 0 and five per cent respectively to encourage importation and subsequent smuggling into Nigeria. He added that Thailand and India where the smuggled rice were sourced also gave a high level of subsidies to rice farmers and rice processors. The minister disclosed that the local rice producers had made some representations to the government on how Nigerian rice could compete favourably, in terms of pricing, with the heavily subsidised imported rice. He assured that the government would work on the presentations to formulate policies and take steps that will bring down the price of local rice. Mohammed noted that less than three years into the rice revolution, millions of jobs had been created in the whole value chain in the country. He, therefore underscored the economic importance of consuming locally produced rice, especially in terms of job creation. “Nigerians should remember that every time they eat imported rice, they are eating the jobs that would have been created for Nigerians. “Today, we have rice farmers in all states and all geopolitical zones. “In fact, most of us have friends and relatives who are farming rice. So if we don’t patronise their products, we are destroying their livelihoods,’’ he said. He said the government would embark on a massive nationwide campaign to sensitise compatriots to the need to support the rice revolution by consuming local rice.